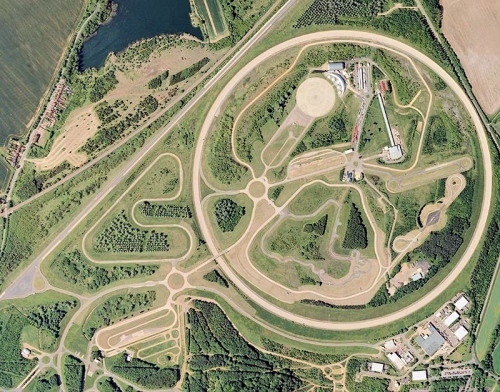 The AutoAir project, which is supported by a £4.1m Government grant, has confirmed that the UK’s first independent 5G enabled trial of Connected and Autonomous Vehicles (CAVs) will go live this month at the Millbrook Proving Ground (Bedfordshire). Mobile broadband speeds of up to 1Gbps are expected. At present it’s well known that fast travel speeds can cause complications for mobile connectivity (i.e. the cell-tower hand-off as you move between networks and different infrastructure). On top of that the rise in autonomous vehicles is widely expected to require significantly more network bandwidth. Apparently the new test network is now close to completion at the Millbrook Proving Ground (due to go live this month). All the masts for the antennas needed to transmit 5G radio data are in place and being connected, while 19km of fibre optic cabling has been laid to provide capacity and the remaining wireless equipment is being deployed now. Overall some 23 small cell base station sites will soon go live around the site in order to create a low latency, wide-area 4G / 5G wireless infrastructure that can deliver top data speeds of “up to 1Gbps.” The work is being led by Airspan Communications and is supported by mobile operator O2, vehicle testing firm Millbrook and of course the Government. “The development of connected and autonomous vehicles is continuing to move at great speed, so it is important that we do the same. The fast rate of progress in the installation of our 5G-enabled network is testament to the hard work and dedication of the consortium team to ensure CAV developers have all the facilities they need to engineer world-class technology. Personally we’re not huge fans of cars being equipped with advanced data connectivity, since we could end up with a future where insurance companies and the police are able to pounce the moment you make even the slightest of mild mistakes (nobody is perfect), although at this stage the work is entirely centred on general CAV development. In that sense a stable ultrafast 5G mobile link is described as being “crucial for the validation and testing of level three to level five autonomous vehicles, which require high speed, real-time connectivity to compare the ‘real world’ outcomes with the decision-making simulation.” It’s also a good way of testing how good future 5G networks will be at connecting passengers in vehicles travelling on major roads or trains etc. Other partners in the AutoAir consortium are Blu WirelessTechnology, McLaren Applied Technologies, the 5G Innovation Centre at the University of Surrey, Real Wireless, Quortus and Celestia Technologies Group. Given that I still can’t use TuneIn on a 15 mile journey between home and work without losing signal a couple of times, I’m guessing we’re still a way off. Lab conditions, great – fill your boots. But in real life, make sure you’ve got your contingency code written. 1Gps is surprisingly low for 5G. 4G in theory can already do that without even using mmWave. 5G tests should be aiming for 5Gbps+.